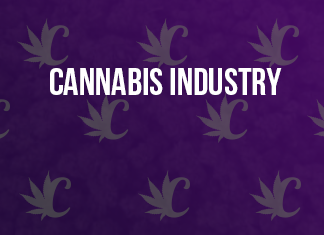 NEW YORK, Feb. 07, 2019 (GLOBE NEWSWIRE) — OTCinsider.com News Commentary – After the passage of the Farm Bill last year, the development and distribution of CBD and hemp products worldwide has seen a huge explosion, creating a need for new agricultural technologies. The global medical marijuana market could reach $50 billion annually. The global medical marijuana market presents an even greater opportunity. As of December 2018, over 30 countries had legalized medical cannabis. These include major economic powers such as Australia, Germany, South Korea, and the United Kingdom. Nine of the countries where medical cannabis is legal claim populations larger than Canada’s.EnviroTechnologies International, Inc. (OTC: ETII), a publicly traded company based in Utah, with already one foot in the Cannabis industry with its proprietary and patent-pending machines that produce electrolyzed oxidative fluids (EO Equipment), could be the right choice for both short- and long-term cannabis investors.Last week the company announced that it was preparing to introduce new technology to licensed cannabis growers in the northwest that will help eliminate growth-impeding pathogens and stimulate harvest yields.The positive effects and growing acceptance of medicinal hemp, CBD and other cannabis products have been widely discussed in all news venues. The passage of the Farm Act late last year greatly expanded the development and distribution of CBD and hemp products nationwide.“What hasn’t been covered as much is the potential and existence of fungal and contaminants that are prevalent in nearly all phases of plant growth, harvest, and post-harvest product processing of hemp and cannabis,” said Gaylord Karren, ETI’s President. “Mold and fungal presence in grow rooms as well as outside grow facilities is not only dangerous but also negatively affects the plant’s growth cycle, killing large portions of the crop and leaving bacterial residue on the plants and facilities. This reduces the growth and the ultimate yield. The problem is that there is no real non-toxic solution to eliminate mold and fungal growth in grow facilities. ETI has the only real, effective, non-toxic solution to cleaning and sanitizing plant facilities.”Earlier this week, EnviroTechnologies International, Inc. reported estimated 2018 revenues and First Quarter equipment orders under contract.“We expected 2018 to be, primarily, a research and development year as we completed design and technical upgrades to our proprietary and patent-pending machines that produce electrolyzed oxidative fluids (EO Equipment), used by our customers in the carpet-cleaning, agriculture, food service and other related and unrelated industries. We anticipated contracts on or new EO Machines to begin Second Quarter 2019,” said Gaylord Karren ETI’s President.“First Quarter, 2019 revenues will be approximately $605,000 and contracts for Second Quarter, 2019 are expected to be $885,000.”Start your research on EnviroTechnologies International, Inc. (OTC: ETII), IMMEDIATELY and put ETII on TOP of your watchlist before it’s too late!For commentary inquiries, please contact: info@otcinsider.com This release contains “forward-looking statements” within the meaning of Section 27A of the Securities Act of 1933, as amended, and Section 21E of the Securities Exchange Act of 1934, as amended and such forward-looking statements are made pursuant to the safe harbor provisions of the Private Securities Litigation Reform Act of 1995. “Forward-looking statements” describe future expectations, plans, results, or strategies and are generally preceded by words such as “may”, “future”, “plan” or “planned”, “will” or “should”, “expected”, “anticipates”, “draft”, “eventually” or “projected”. You are cautioned that such statements are subject to a multitude of risks and uncertainties that could cause future circumstances, events, or results to differ materially from those projected in the forward-looking statements, including the risks that actual results may differ materially from those projected in the forward-looking statements as a result of various factors, and other risks identified in a company’s annual report on Form 10-K or 10-KSB and other filings made by such company with the Securities and Exchange Commission. You should consider these factors in evaluating the forward-looking statements included herein, and not place undue reliance on such statements. The forward-looking statements in this release are made as of the date hereof and OTCinsider undertakes no obligation to update such statements. You should not rely on the information presented; you should do independent research to form your own opinion and decision. Information contained in our disseminated emails does not constitute investment, legal or tax advice upon which you should rely. The purchase of high-risk securities may result in the loss of your entire investment. Otcinsider has not been compensated for this commentary by ETII. Advertisements received by you are not a solicitation or recommendation to buy securities of the advertised company.